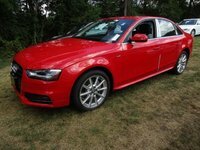 2016 Audi A4 How our users rated the 2016 Audi A4. 2016 Volvo S60 How our users rated the 2016 Volvo S60. Based on 905 user rankings. Driven or own this vehicle? Rank this vehicle to share your opinion. 2016 Audi S4 How our users rated the 2016 Audi S4. Based on 914 user rankings. Driven or own this vehicle? Rank this vehicle to share your opinion. 2016 Mercedes-Benz C-Class How our users rated the 2016 Mercedes-Benz C-Class. Based on 331 user rankings. Driven or own this vehicle? Rank this vehicle to share your opinion. 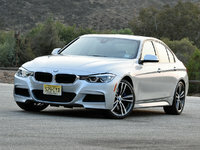 2016 BMW 3 Series How our users rated the 2016 BMW 3 Series. Based on 536 user rankings. Driven or own this vehicle? Rank this vehicle to share your opinion. 2016 BMW 4 Series How our users rated the 2016 BMW 4 Series. Based on 489 user rankings. Driven or own this vehicle? Rank this vehicle to share your opinion. 2016 Acura ILX How our users rated the 2016 Acura ILX. 2016 INFINITI Q50 How our users rated the 2016 INFINITI Q50. Based on 552 user rankings. Driven or own this vehicle? Rank this vehicle to share your opinion. 2016 Lexus IS 350 How our users rated the 2016 Lexus IS 350. Based on 601 user rankings. Driven or own this vehicle? Rank this vehicle to share your opinion. 2016 Audi S3 How our users rated the 2016 Audi S3. Based on 1,089 user rankings. Driven or own this vehicle? Rank this vehicle to share your opinion. 2016 Audi A3 How our users rated the 2016 Audi A3. Based on 595 user rankings. Driven or own this vehicle? Rank this vehicle to share your opinion. 2016 Lexus IS 200t How our users rated the 2016 Lexus IS 200t. Based on 566 user rankings. Driven or own this vehicle? Rank this vehicle to share your opinion. 2016 Lexus IS 300 How our users rated the 2016 Lexus IS 300. 2016 Cadillac ATS How our users rated the 2016 Cadillac ATS. 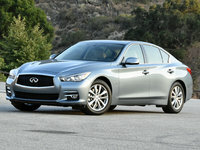 2016 INFINITI Q50 Hybrid How our users rated the 2016 INFINITI Q50 Hybrid. Based on 554 user rankings. Driven or own this vehicle? Rank this vehicle to share your opinion. 2016 Buick Verano How our users rated the 2016 Buick Verano. Based on 870 user rankings. Driven or own this vehicle? Rank this vehicle to share your opinion. 2016 Cadillac ATS-V How our users rated the 2016 Cadillac ATS-V.
Based on 299 user rankings. Driven or own this vehicle? Rank this vehicle to share your opinion. 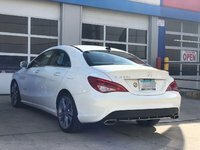 2016 Mercedes-Benz CLA-Class How our users rated the 2016 Mercedes-Benz CLA-Class. Based on 579 user rankings. Driven or own this vehicle? Rank this vehicle to share your opinion.